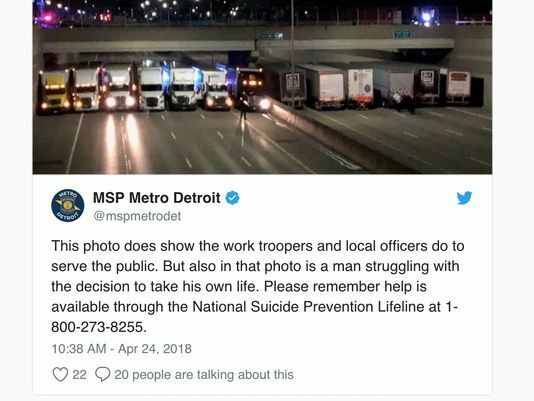 In Detroit, a line of 13 trucks with assistance from Michigan State Police created a wall to prevent a man from jumping over the overpass. 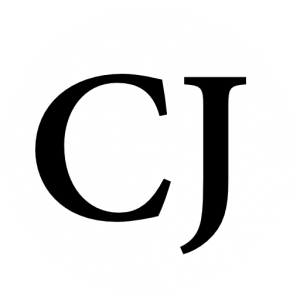 On the I-696 freeway near the Coolidge exit, a man was attempting to take his own life by jumping off the bridge. When truckers saw him, they began one by one to line up underneath the bridge, blocking traffic between the hours of 1 and 3 a.m., heroically saving the mans life. Chris Harrison was one of the truckers that was part of the “trucker wall.” He says that the cops waved 6-7 truckers on the eastbound and westbound lanes of the freeway. The man was talked down from the edge and taken to safety thanks to their heroic actions. Please pray for the man involved, that he would find health and strength in Jesus and be encouraged by those who helped him during his time of need. May God bless the officers and truckers who fought for his life.